Today’s the day! NASA’s New Horizons spacecraft will whiz past Pluto at a distance of only 7800 miles today—in fact, by the time you read this, will already have made the flyby! This little spacecraft has sent us some amazing pictures of Pluto and Charon, and if everything goes right, they will only get better. The spacecraft will be out of contact with Earth during the flyby, the better to frantically shoot pictures and hoover up as much data as it can during the brief encounter. That data will be sent back at a very slow bit-rate, because of the distance, and will take over a year to be transmitted in its entirety! I’ve always felt that Pluto, way out in the dark of farthest interplanetary space, was one of our most fascinating planets. And yes, the astronomers have agreed now that it’s a dwarf planet—but to me, it will always be our ninth planet. 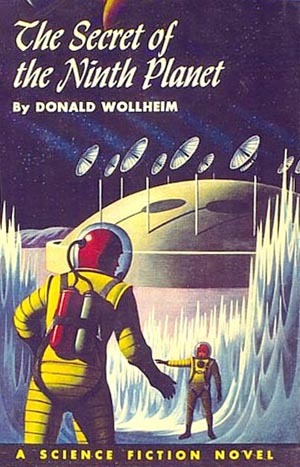 In fact, when I was a kid, a favorite science fiction novel was called Secret of the Ninth Planet, by Donald A. Wollheim (who later went on to found DAW Books). It involved a kid traveling on an emergency expedition to visit all the planets of the solar system, to learn why the sun was getting dimmer. They found out, all right—it was a bunch of crummy, scum-sucking aliens, who had planted special antennae on each planet, to somehow draw off power from the sun for the aliens’ nefarious purposes. It took cleverness, grit, and maybe a few nukes, but we took care of that. I read that story at least a dozen or two dozen times when I was at a certain age. You can download this science fiction classic from Project Gutenberg. 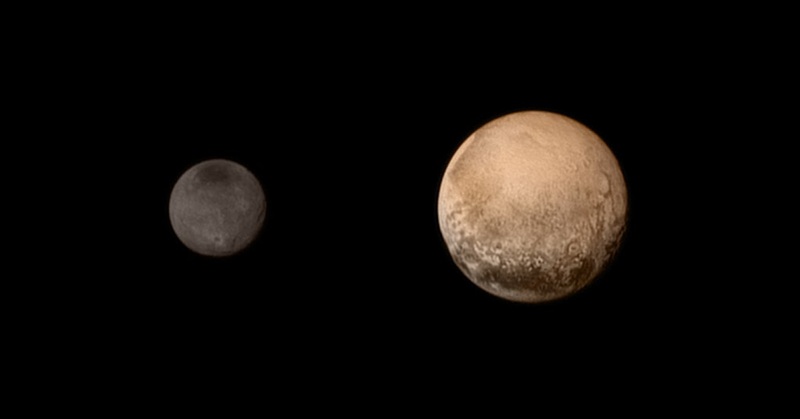 Oh, and you can follow the real-life Pluto mission here on space.com or here at NASA. Don’t miss it!